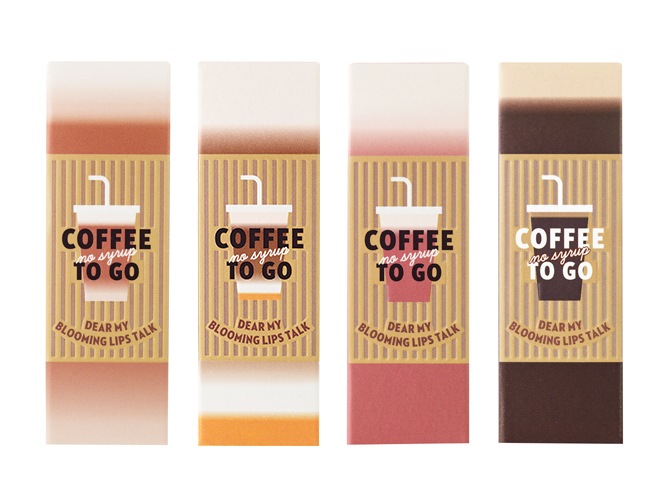 If you thought your caffeine addiction was bad, just wait till you get your hands on ETUDE HOUSE’s latest fall collection – aptly titled COFFEE TO GO, NO SYRUP. 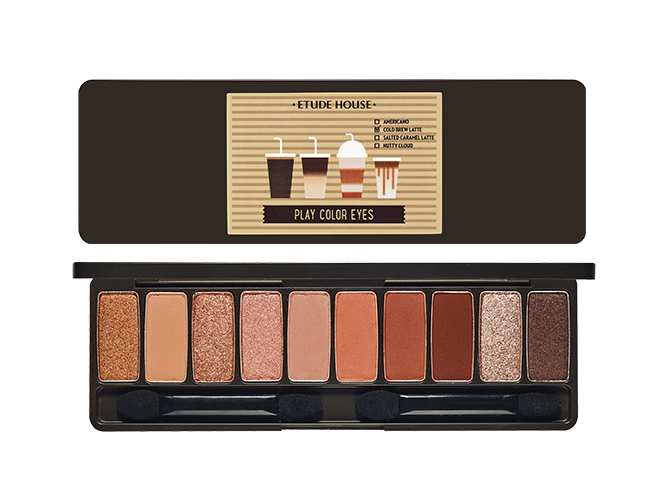 Coffee lovers are about to get a major pick-me-up in the form of an eye palette, a blush and four lip products with delicious names like Whipping Cream Dolce Latte, Vienna Strawberry Latter, Dry Orange Bianco and No Sugar Americano. Coffee and makeup? Talk about a match made in heaven! What’s better than an extra shot to your iced latte? Make that 10 extra shots – the Play Colour Eyes #CAFFEINHOLIC palette features nine to-die-for hues ranging from subtle nudes to soft browns to rich reds. No matter what your go-to coffee order is, there’s sure to be a colour that suits your craving. 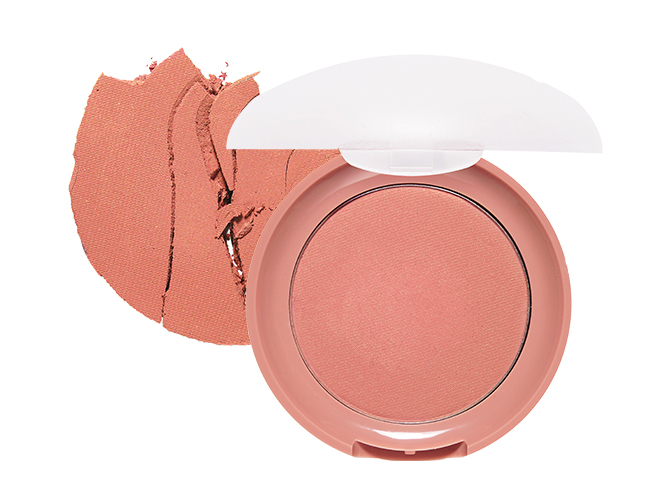 The perfect colour to get you into the mood for fall, the Lovely Cookie Blusher comes in a rich pink-brown shade that will help to perk up your complexion like how a good cup of joe in the morning does. Whether you’re a No Sugar Americano or a Vienna Strawberry Latte kind of person, you’ll be hooked on the new Dear My Lips Talk capsule range. Deliciously named after your favourite coffee beverages, the new range consists of four statement shades in a creamy, lightweight formula that lasts throughout the day – and these stay on after coffee too! The ETUDE HOUSE Coffee-To-Go collection will be available from October 2018 at all ETUDE HOUSE stores islandwide, Lazada and Shopee. Get ’em while they’re hot! If you’re a ramyun diehard, you would have definitely heard of the Fire Noodle Challenge – a viral challenge that had people trying out the insanely destructive Samyang Buldak Spicy Chicken Ramyun. And because we Singaporeans love anything spicy, Korean beauty brand TONYMOLY has collaborated with Samyang to introduce a new series of deliciously spicy ramyun-inspired makeup! Inspired by the spicy ramyun flavours, the TONYMOLY x Samyang Hot Collection includes everything you need to create a full ramyun-inspired beauty look – and it doesn’t hurt that these goodies come in an adorable packaging featuring the fire noodles mascot. From a cushion-compact foundation complete with a refill (in a sauce packet! ), to the lip sauce tint that comes in flamin’ shades of Spicy Red and Cheese Red, this limited edition collection is perfect for replicating that natural flush you get after having your late-night Samyang fix. Consider your weekend party look, sorted. Although the collection isn’t available in Singapore for now, avid beauty junkies will be glad to know that they can get their hands on the complete range on Shopee. To spice up the deal, those who purchased the entire set will also be treated to an actual cup of instant ramyun, along with free shipping. Psst, Teenage readers also get to enjoy an additional $7 off their purchase at a minimum spending of $15 with our exclusive promo code: TEENAGETMS (valid till 31 December, 11.59pm). The TONYMOLY X SAMYANG Hot Collection is now available on Shopee. Get Freebies From Etude House, THEFACESHOP And More With Every Copy Of Teenage! Have you gotten a copy of our latest issue yet? If you’ve yet to get your hands on one, here’s more reason to hit up your local convenience store: it’s tikam time! Every year, the Teenage team prepares a special Tikam Tikam issue where we treat our readers to awesome freebies with every copy of the magazine – and this edition is no exception. Teenage Vol.30 Issue 3 comes chockfull of beauty and haircare goodies from Aprilskin, ETUDE HOUSE, Moist Diane and THEFACESHOP. And with the wanderlust season in full swing, these travel-sized samples will definitely come in handy for your upcoming vacays. If you fancy cleansing with a good ol’ fashioned bar of soap, you’ll love the Aprilskin Signature Soap Original. Brimming with natural ingredients like olive oil, shea butter and charcoal powder, this hard-working cleanser lathers up to a luxurious foam that removes excess oil and dirt built up during the day. While soaps tend to strip away moisture, this one comes packed with essential oils to keep your skin clean and hydrated. Just lather, rinse and repeat! 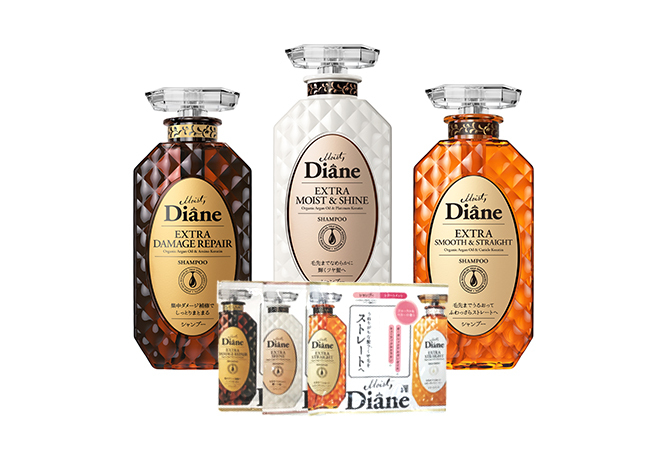 The Moist Diane Perfect Beauty Series will become your new best friend after one wash! An upgraded formula of their signature Argan Oil series, this renewed range is completely free of silicone, sulphate and paraben which means your mane is getting only the good stuff. Whether your locks are in need of an extra oomph or you simply need something to tame your frizzy strands, there’s something for everyone. Perfect for those with sensitive skin, the ETUDE HOUSE Soon Jung line is formulated with naturally derived ingredients and free of potential irritants. Not only does it effectively restore your skin to its natural healthy balance, it also helps to protect you from dust and harsh weather elements. Having sensitive skin is already a struggle, imagine having to deal with dry and acne-prone skin on top of that. Look no further than THEFACESHOP Dr.Belmeur line, which offers dermatologically-tested solutions targeted at those with troubled complexions. Perk up your skin with the Daily Repair Toner, before following up with the Daily Repair Moisturizer to lock in moisture. What are you waiting for? Pick up a copy of Teenage Vol.30 Issue 3 and pamper yourself with one of these cool gifts – show us what you got by tagging us on @TeenageMagazine! You can always count on THEFACESHOP to roll out killer collaboration after collaboration, and the K-beauty brand has done it again with their all-new THEFACESHOP X KAKAO FRIENDS Collaboration Collection. 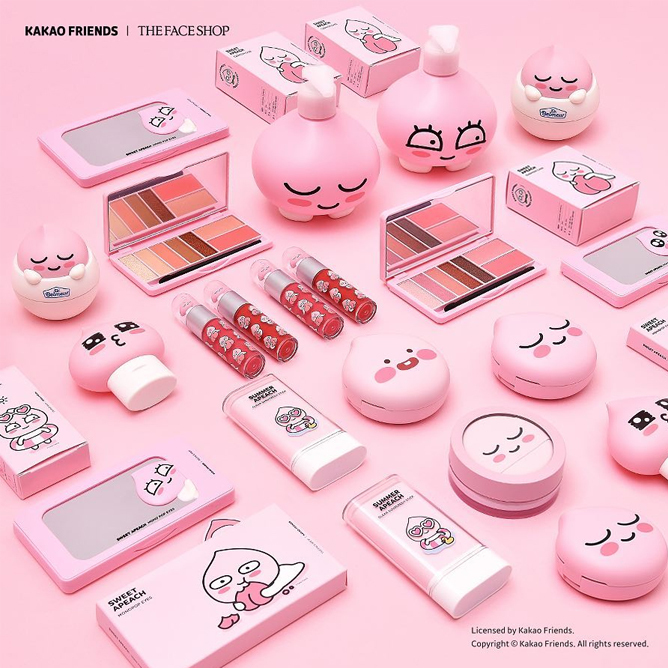 Fans of KAKAO FRIENDS will be delighted to know that TFS teamed up with the Korean lifestyle brand to launch a limited edition collection dedicated to the sugary-sweet Sweet Apeach. Just like the character mascot, the entire collection is decked out in an all-pink packaging, complete with Apeach’s ultra-adorable facial expressions and silhouette to bring out its fun-loving personality. Besides the usual lip tints, sunscreen cushions and eyeshadow palettes, there’s also a selection of skincare essentials to cop from the Dr. Belmeur line. Oh, Hoodie Ryan also makes an appearance on the Blossom Tint. THEFACESHOP X KAKAO FRIENDS Collaboration Collection is now available at all THEFACESHOP stores island-wide. To say that Pony is accomplished is an understatement. From girl-next-door ulzzang, to bona fide YouTube sensation, to star makeup artist for the one and only CL, the K-beauty guru has an influence that spans far and beyond her combined 9 million-strong following on YouTube and Instagram. Apart from being a social media force, the 26-year-old has also built her very own makeup empire by the name of Pony Effect. Despite its popularity, overseas fans found it hard to get their hands on Pony Effect products as it’s largely based in South Korea, although you can still find a selection of products on certain online sites such as Gmarket, Qoo10 and Lazada. But we’ve got good news: Pony Effect has finally landed on our shores today (21 June) and you can get your hands on it at none other than your nearby Watsons store! To prep you for your upcoming Pony Effect haul, scroll through the gallery to see what are some of the products you can start stocking up on. Pony Effect is now available at Watsons Bugis Junction and www.watsons.com.sg, and will be launching at Watsons ION Orchard, Watsons NEX, and Watsons JEM from July 2018.